Cricket is one of the most followed game in India and its popularity is growing day by day. Also, many new Android developers are creating Cricket games so as to attract new users. 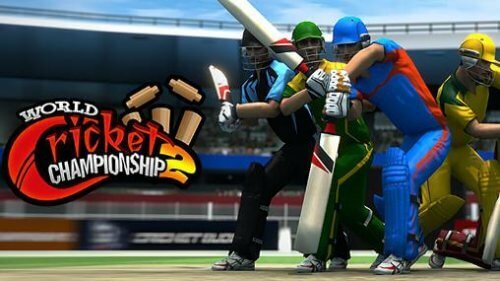 Today we will be sharing a list of 10 top Cricket games for Android. This list is created on the basis of user rating, performance, Gameplay and Graphical display of the gaming app. Also, note that many of these Android games support multiplayer format. All of these Cricket games are compatible with every Android version. Hence, don’t worry about whether the Game will run on your smartphone or not. So let’s begin with our list of 10 Top Cricket Games for Android. All of these games are free to play and can be downloaded from Google Play Store. Real Cricket 16 is one of the most downloaded and reviewed cricket game in the App store. It has an impressive collection of shots and amazing graphics. You can even customize the game and build your own cricket team. You can select your team, set field placements, bowling-batting order and even set your equipment. The only major issue of this app is that it contains a lot of advertisement. To remove these ads, you’ll be charged with some amount of money. Otherwise Real Cricket is free to play game and one of the best Cricket game in Play store. Download Real Cricket 16 from the link below. A unique pick up and play control for both batting and bowling. Six eye-catching stadiums, including Lords & Eden Gardens! Single Player Game-play modes such as Quick Match, ODI, Twenty 20 and the Trophy 2009! You can Submit your score online and compare them with friends! Eight world class international teams to choose from! This game also contains some annoying ads. But still, it is one of the best cricket game to play. Below is the link to Download Cricket T20 Fever 3D. Customize Players, Teams and team banners. More Cricketing venues and camera angles. 69 batting hots and 8 Bowling action. Bowl Physics that responds to the quality of the pitch (same as in Cricket). Supports almost every Android smartphone. Big Bash 2016 is an official gaming app developed by Cricket Australia. It features official clubs for BBL|06 and WBBL|02. Big Bash also comes with 3 different types of difficulty modes. It might not be as advanced as the above games, but Big Bash 2016 is fun to play. Also, this app is advertisement free, hence you can play this game without getting annoyed. Big Bash 2016 is also known for its skill shots and beautiful pitches. 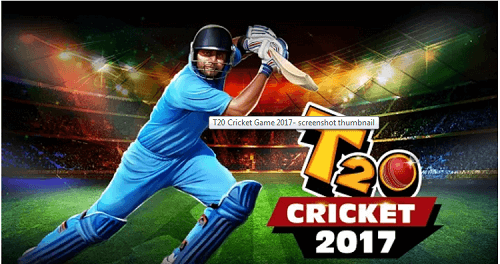 You will get an amazing experience of cricket by playing this game. With updated stats and players, this game is a must for cricket lovers all around the world. 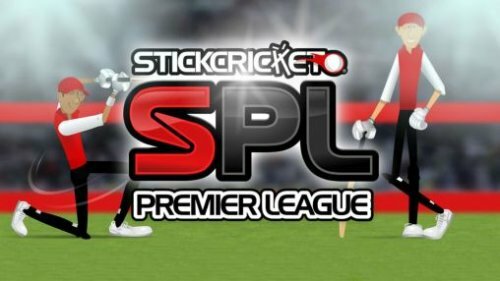 The Stick Cricket premier league is based on the old version of Stick cricket. It is developed by the same developers. One of the best feature of this app is its gameplay. 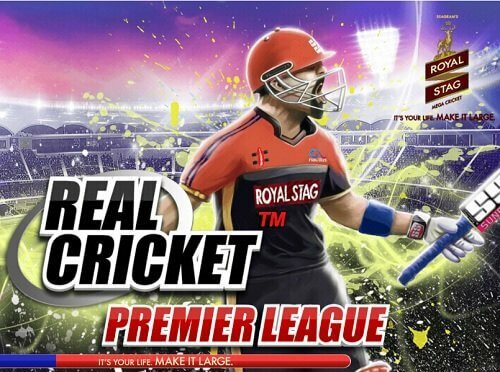 Stick Cricket Premier league gives you an opportunity to play as an individual player and join leagues from different countries. It is basically a cricket version of FIFA 16. You will get enough opportunities to feature on all available premier leagues. Latest updates have added some more recent grounds and leagues. Create your Player with customized abilities. Build your team and win leagues. Be the hero of your team and become a Legend. Cricket World Cup Fever is the first multiplayer game to feature on our list. It also comes with a unique batting-bowling engine and field styles. You can also customize the difficulty settings, venues, Match duration, squad etc. Cricket World Cup Fever comes with 4 exciting modes of play – “Quick Match”, “PowerPlay” “World Cup” and the turn based styled “Pass-N-Play” modes. Don’t underestimate this app as it has potential to deliver a thrilling experience. 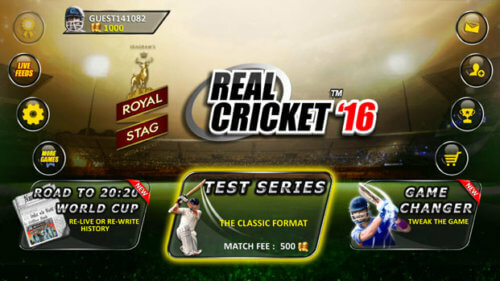 This Cricket App is created by the developers of Real cricket 16. The only change is the introduction of Cricketing franchises and auction mode. You can play as an individual and increase your batting-bowling-fielding skills These skills will help you to get the best cricket league, where you can win tournaments. Auction mode where you can auction yourself as a player. Play in different leagues of different times. You can go back in time and play the league with past squads. We have already discussed its newer version, the WCC 2 above. WCC Lite offers high quality graphics, professional commentary and a team that you create with your friends. You can challenge your friends by inviting them to beat your high score. This game is supported by all versions of Android and can run on every smartphone. In Cricket career 2016, you can play career mode by choosing a favorite player. You can create your own avatar and increase your skills by playing more games. To run this game, your smartphone must have 2GB RAM with at least 90mb free disk space. Cricket Career 2016 also includes leagues like IPL and Big Bash (other leagues to be added soon). Also, you can grow up your career by joining different teams. 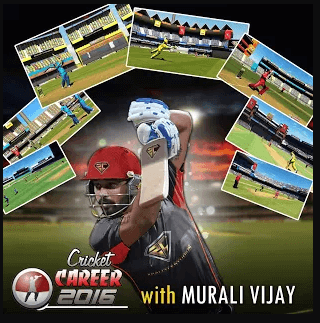 To download Cricket Career 2016, click on the below link. We will keep this list updated and add some more fun apps in our Android App section. If you have any suggestions or any more Cricket app to add to this list, then do comment below.